When my husband and I first started talking about having children, we both agreed, we would be completely happy with whatever extra-curricula activity they chose to do, as long as they picked something. And so far, we have followed that belief. Well to an extent. When our oldest wanted to continue a 3rd year of competitive cheer at the age of 7, we had to say no. I know, I know, we're the mean parents. But come on, my husband is 6'2, I'm 5'11 (where did that inch go? ), so most likely she'll be on the taller side. Long story short - paying over 3 grand a year for a sport that she most likely wont continue, was a no go in our book. Anyways, when our middle child was about 3, she randomly started talking about ballet, and being a ballerina. I thought, well maybe this is a phase, she must have seen a fun TV show on Netflix or something. 6 months later, she was still pretending to be a ballerina. Now this was a big surprise to us because we more of a ball type sports family (you know, basketball, football, volleyball). But, this is what she was interested in so we just went with it. I enrolled her in a Pre-Ballet class when she was 4. The class was actually suppose to just be for 5-7 year olds, but we found a dance studio that was all about the love of dance. Too many places these days are all about the competition, and were strict on their age limits. The place we found in town for our little ballerina, though, was perfect for her. For her birthday we got her a starter leo, skirt (tutu) and pretty pink ballet shoes. We took her all summer long, once a week. I'd ask her what she learned that day and she wouldn't remember and that was okay. I could tell she really loved it, and it made my heart happy. The thing about our youngest daughter, is that she also the middle child. She is having a hard time right now, trying to be independent like her sister, who is 4 years older, but also trying to be the baby, but her brother is 2 years younger. She is a VERY strong willed child, and basically will do anything that she wants to do. It's amazing to watch her switch though. She will be having a full blown yelling match with her older sister, slamming doors, screaming, and giving Mommy a headache one minute, and the next minute if I turn on her "ballet" music, she's my sweet little girl again. I don't know what it is, but when she gets to dance she is so happy. I put on the classical station on Pandora, and she is just in her element. My daughter who is not normally very graceful, all of a sudden is more graceful than anyone in the family. She closes her eyes, and just dances. Now let's remember, she's still 4, but I am amazed every time I watch her. Her love for Ballet is so amazing, and I'm impressed how seriously she takes it. and a good understanding of music and rhythm. With just a quick google search, you will see that there are many benefits of younger children partaking in ballet. Besides the obvious physical benefits, there's also studies on the emotional, social and educational benefits as well. There are certain activities that we like our children to take part in when they are young. Usually, gymnastics is at the top of that list. Even our youngest, who is a boy, will be enrolled in gymnastics. It's a good base for them to learn body control and focus, that will help in any sport or activity in the future. From what I've seen with my daughter being in ballet, though, makes me think that this dance is just as good for her as gymnastics may be. So watch out world. In the next 15 years, you may be seeing a world famous 6 foot 2 inch ballet dancer who dances more graceful and with more heart than anyone out there!. My daughter is almost 2 and it seems like she wants to learn ballet. She loves Emma on the Wiggles and tries to copy her! I hope she gets into it. It's really sweet watching the little ones do ballet! 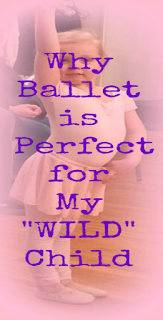 Ballet is great to teach discipline and focus for wild children for sure! That's what I'm hoping! She's so focused when she's dancing, so, so far, so good! Swimming is great! There are so many great classes out there for all kids! My daughter loves ballet too! It's amazing what skills it teaches kids. I'm definitely looking forward to seeing her grow with it throughout the years! 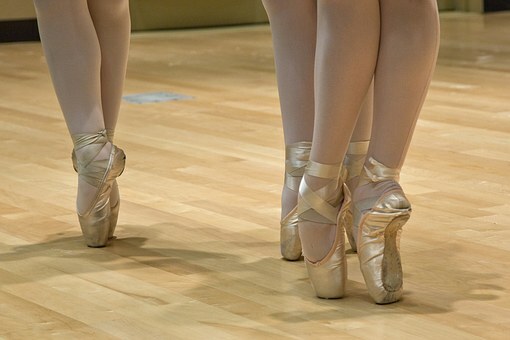 I can't wait to have a girl to put her in ballet. I know my son will be taking hip-hop classes as he loves to dance and is only one right now. You'd be surprised. There are a couple boys in my daughters class right now! I think it depends on the area you live, but he can do whatever dance he wants! I love this! I did ballet growing up and I really want my daughter to do it as well!